The students are often shaky when they hear the term “Maths”. It is generally found amongst the students of Year 7 – 12 as the basic concept of Mathematics is not clear to them. When the basics are not clear, it is obvious to be afraid of any subject and run away from it. 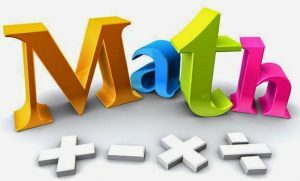 At Master Coaching, we try to understand why do the students find Maths difficult and help them to cope up with it through our creative Maths Workshops for Year 7 – 12 held every week. It covers topics that are not commonly taught in school math classes. Through an intuitive approach to each subject, students are exposed to both interesting and active areas of contemporary mathematics research. Our Maths Workshops for Year 7 – 12 also exposes the students to the high school education in mathematics and encourage them to add math classes to their schedule when they enter college. What do you mean by Maths? Do you think Maths is just about applying the formulae and rules and calculation? The popular belief definitely suggests so, but, on a different note, Maths is a blend of creativity and mathematics. Even the simplest of Maths can give us effective results if applied creatively. Our Maths Workshops for Year 7 – 12 includes hands-on activities that help the students to check how creativity can be used to do Maths. We must thank Mathematics for improving video games and animations. Whether building design or cooking, maths is vital for all. In our Maths Workshops for Year 7 – 12, we will cover these instances and more in an engaging look at some of the unexpected applications of maths. We offer student directed lessons that help them in-depth problem-solving strategies. All the lessons are taught in creative and engaging ways to retain the interest of the student in the subject. Our Maths Workshops for Year 7 – 12 includes the problem-solving competition where students get to practice their skills in a non-threatening, ‘fun’ environment. We give the opportunity to the students to come up with the questions that they are facing trouble to solve. It might be school and tutoring homework or some question that they came across in their own study time. Our experienced and highly qualified Math teachers are always ready to help the students whenever they face any kind of problems while doing Maths. The students are also provided with sample test papers that carries similar questions as that of the main examination that the students of Year 7 – 12 have to face during their course of studies. This help the students to become well-prepared without any sign of fear or worries prior to the exams. Our Maths Workshops for Year 7 – 12 focus on providing the students with tasks that need the transfer of skills according to their knowledge and learning in order to help the students demonstrate a deeper understanding of the subject. We do not just emphasise on routine computation practice. The Master Coaching Maths Workshops for Year 7 – 12 is designed to help the students solve complex word problems with the application of the mathematical concepts. The workshop enhances the student’s ability for reasoning, problem-solving, precise modeling, and critical thinking.